Over recent weeks you likely have been reminded that November is the time of year to be thankful. Not surprising. But did you know that a Thanksgiving attitude can have lasting benefits for you and your students, even beyond Black Friday? As educators, we are thankful for parents' trust in us to educate their children, community partnerships that help us to do the work of teaching and learning, and dedicated colleagues who help ensure learning for all. However, it is easy to forget to be grateful when life gets busy. The constant state of hurry, worry, and fury in which we live and teach, along with the countless distractions of everyday life, amounts to what author Brigid Schulte calls "the overwhelm." And adults aren't the only ones who experience it; students feel overcome too. An insidious characteristic of the overwhelm is that we allow our attention to be pulled away from the present moment. We lose sight of what we have in the now, eventually falling into the trap of taking things for granted. What do we need to bring ourselves back to the present moment and tame the hustle and bustle of life? Thankitude is different from mere gratitude. A thankitude is an attitude of giving thanks. It is marked by actively paying attention to, and intentionally expressing thanks for, what matters most to you. The latest science on the brain shows that being thankful has positive physical, mental, and social benefits. Turns out that while reflecting on one's gratitude is good, expressing it out loud or in writing is even better. 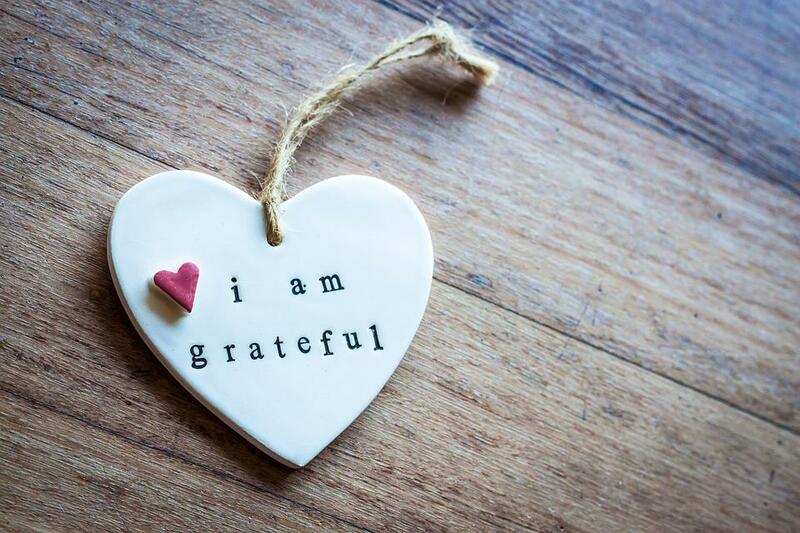 In addition to helping others feel valued, writing and talking about the people and things for which you are grateful is a simple act that transforms your mood, your day and even your brain chemistry! And this is what leads to a thankitude. The key to developing an attitude for gratitude lies in how you express appreciation. If you can think, you can thank. Thanksgiving is a great time to develop a lifelong thankitude by making it a daily ritual to give thanks at school and home. Share one thing you're thankful for each day and ask students to do the same. Put it in the template for your lesson plan. Have a "thanks jar" where everyone writes a little anonymous note about their gratitude and deposits it in the jar to be read aloud at a later time. Let students decorate the jar with words or pictures that represent what they are thankful for. Progressively increase your thanking challenge until you find the sweet spot. Could it be 5...6...7 things per day? Perhaps more? You won't know until you try. There is a great children's book called the Thank You Book, by Mo Willems, which is a favorite of mine to read with my family. It shows us that cultivating thankitude doesn't have to be difficult, because even the small things in life are worthy of appreciation. Expressing gratitude is powerful precisely because it helps you focus on what you have now, rather than what you do not. You build a frame of mind focused on abundance instead of scarcity; moreover, it can reign you in from paying too much attention to what others have (or have going on) and save you from the self-harming practice of comparison. Still not convinced? Maybe the Science of Happiness might persuade you to take up a thankitude exercise this month. Give it a try and see if it doesn't make a difference for you or others in your life. Before you realize it, you could be experiencing a Thank-o-Rama! And who knows? You might just thank me later. Gary G. Abud, Jr. is an educational consultant, presenter, and writer with The Saga Educators near Detroit, Mich. His work currently focuses on helping kids with ADHD to succeed in school by offering coaching and workshops to educators, students, and families. Previously, Gary has served students in K-12 schools as a STEM teacher, curriculum specialist, and principal. In 2014, he was selected as the Michigan Teacher of the Year.